Erica Viscio, a.k.a. “Maul,” slams by opponents on the track. The Cosmonaughties roll out for a game. Cristin Juda is a fifth-year graduate student in chemistry at Harvard. That’s a handy trait for playing a rigorous sport rooted in targeted aggression and strategic containment. Two five-player teams skate furiously around a track in the same direction while the designated “jammer” from each side fights to get past the pack of opposing “blockers” without being knocked out of bounds. As everyone plays offense and defense simultaneously, and boundaries shift with the pack, the action can get chaotic. About 18 officials are required to run a given game, and strict rules govern hitting. 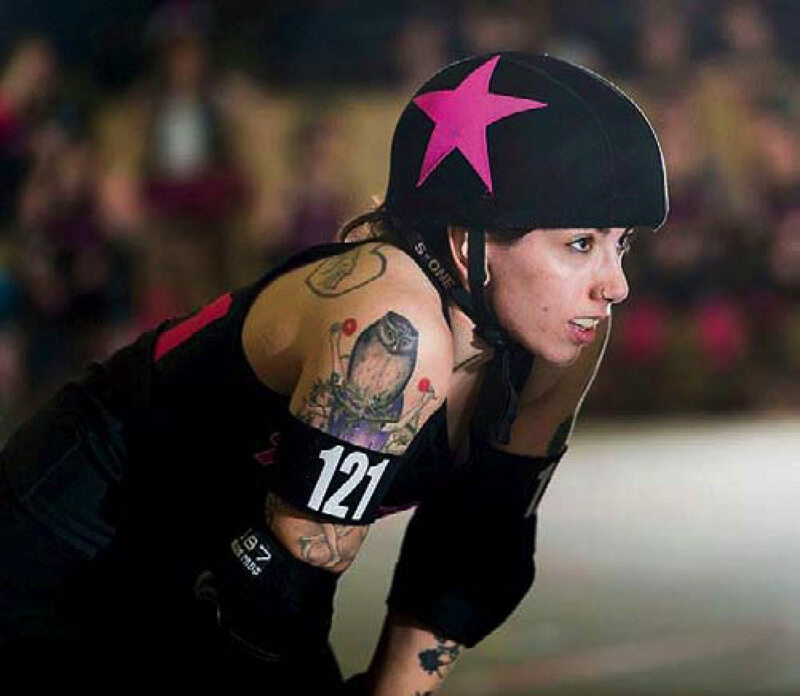 An estimated 1,200 amateur roller-derby leagues for women, men, and juniors compete across the globe. American derby’s origins date to popular roller-skating marathons in the 1930s, which then morphed into a “kitschy sport that appealed to nontraditional sports fans: skaters wore fishnets and tutus and put on sort of a stage show,” says Viscio, who plays as “Maul” (short for “Agent MauledHer,” inspired by the X Files protagonist) for the Boston Massacre team that last year won the Division II world championship against Paris. 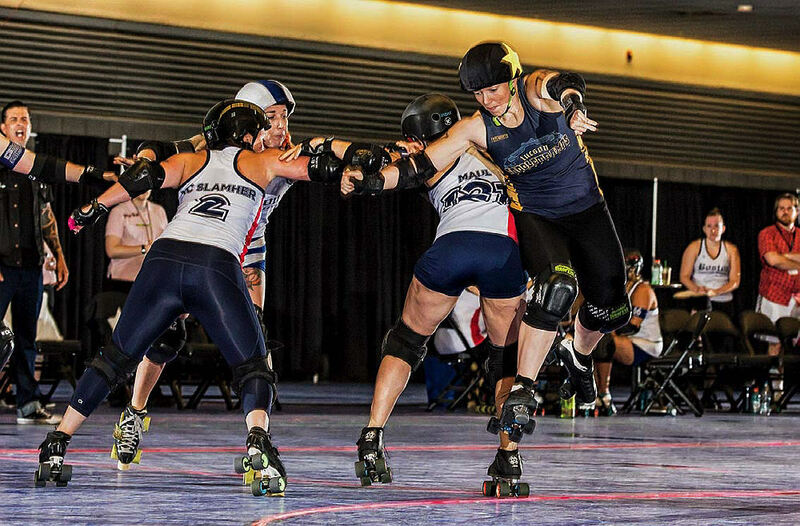 That campy element still exists, but has waned since the mid 2000s, when roller derby began to emerge as a more serious competitive sport—it was short-listed for inclusion in the 2020 Olympics—played predominantly by women. 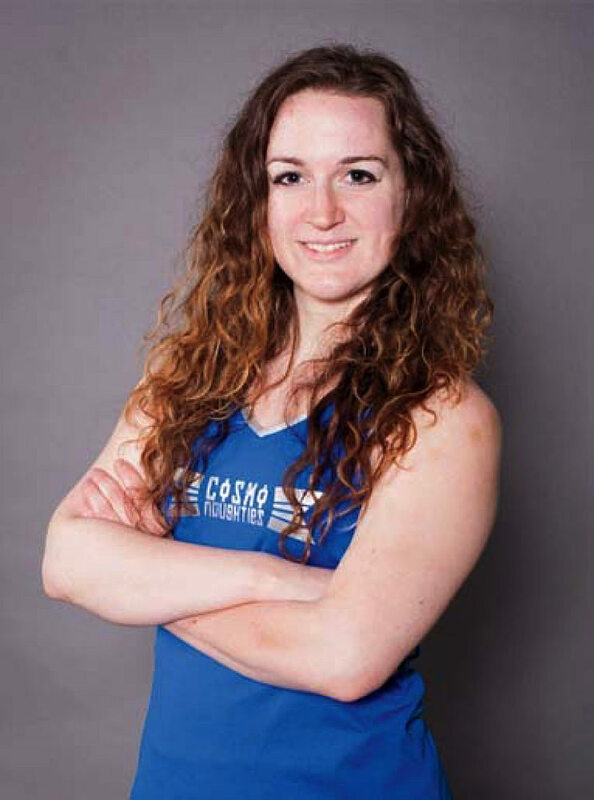 Boston Roller Derby, among 400 leagues in the Women’s Flat Track Derby Association, began in 2005 and has since grown to seven teams as well as a junior-level training program, headquartered at a warehouse in Lynn. Games are played at Shriners Auditorium, in Wilmington, except those in May and June, which are held at Cambridge’s Simoni Skating Rink.